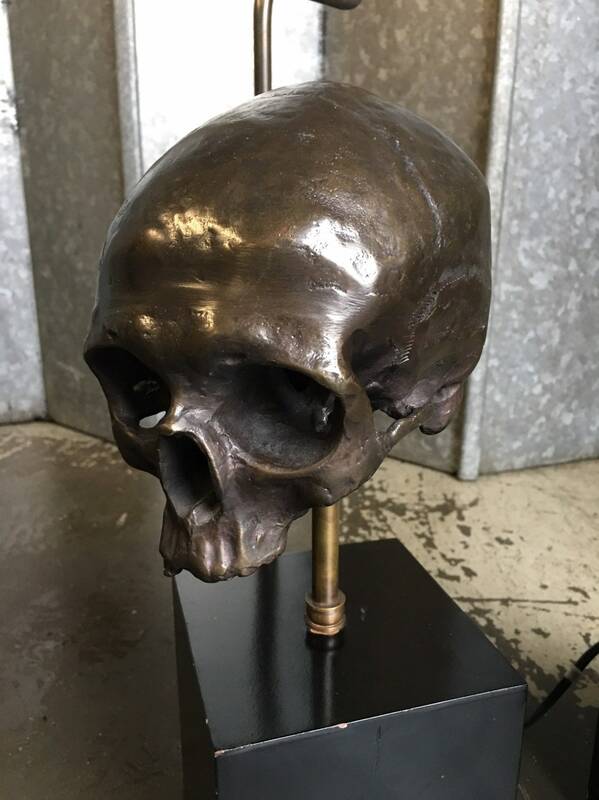 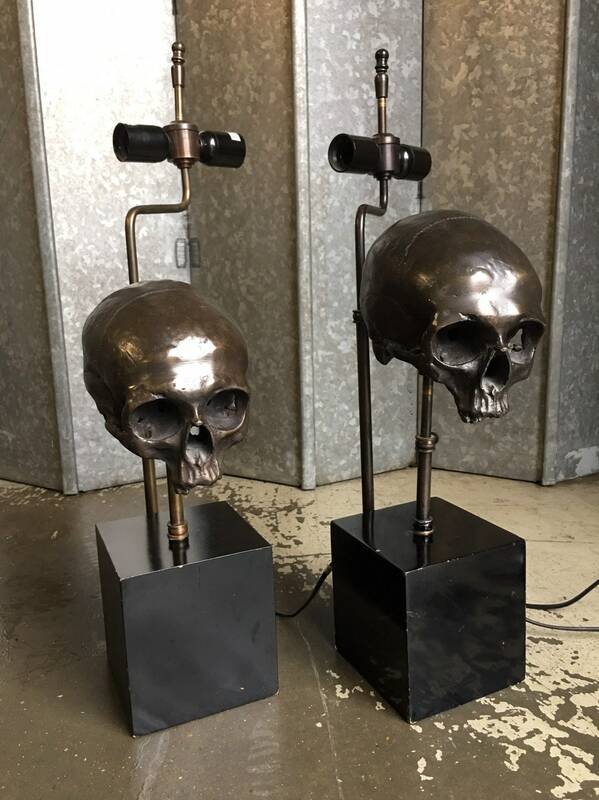 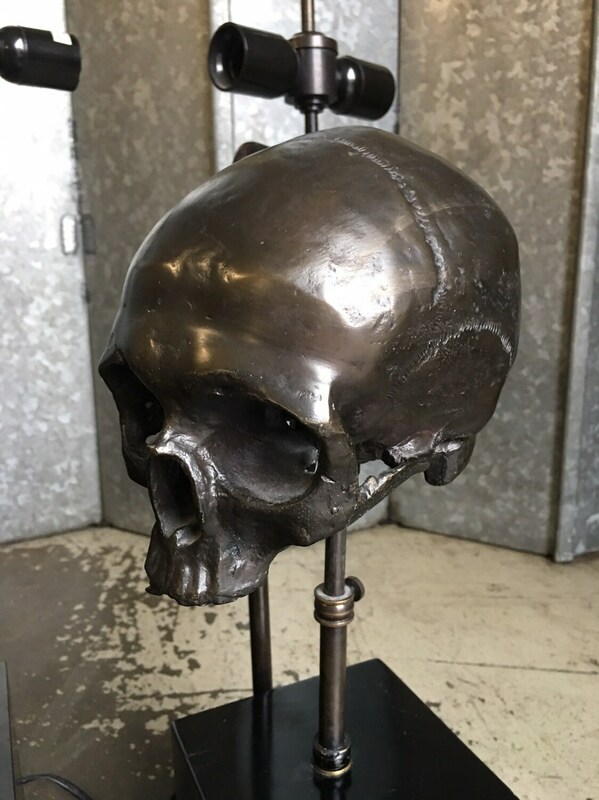 Contemporary pair of bronzed skull table lamps. 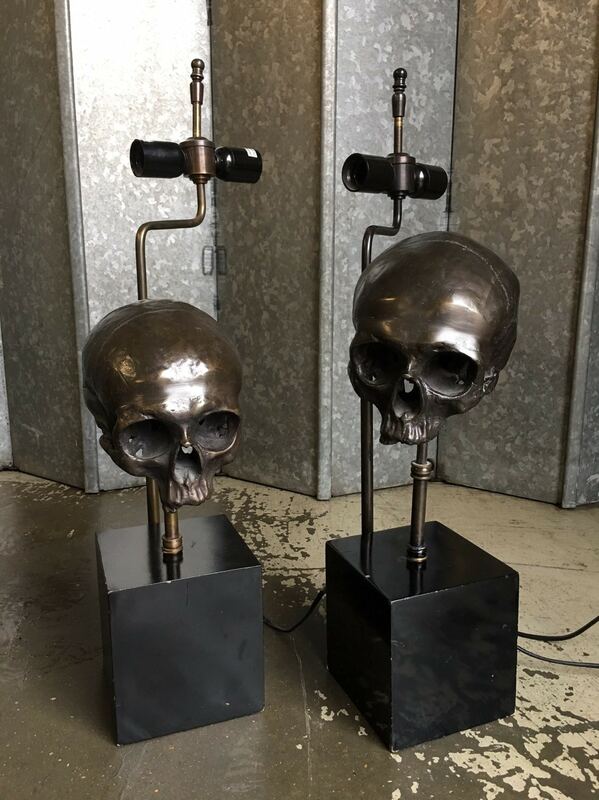 Each lamp takes two e27 screw lamps. 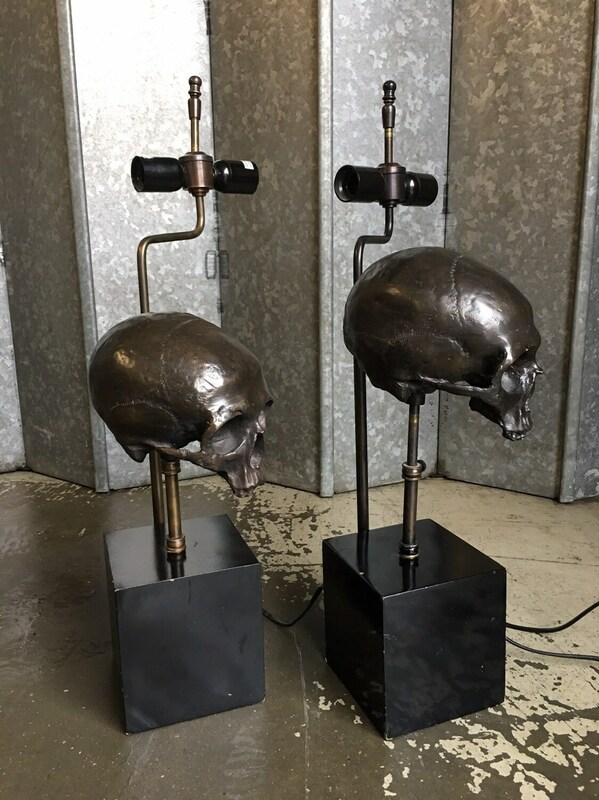 The skulls are moveable up and down. 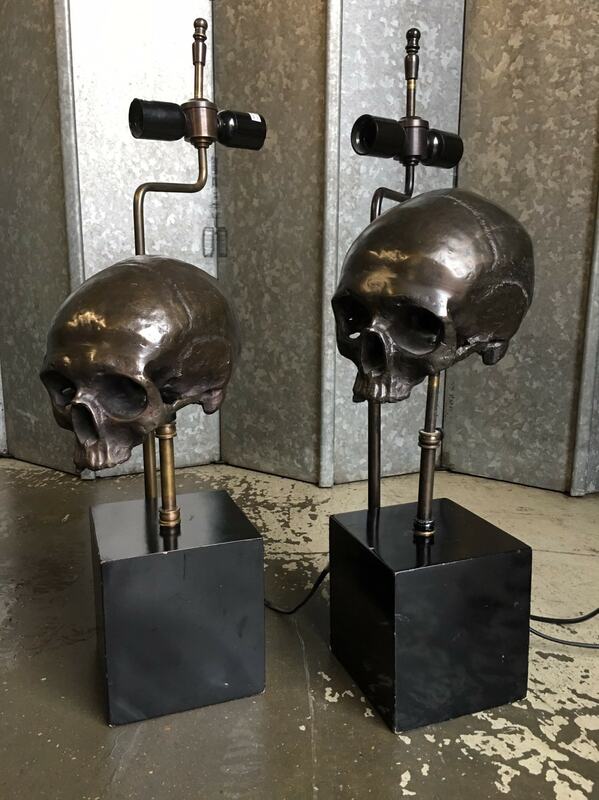 White shades are included aswell as lamps.